This particular Googler must have been hurt many times. But I must ask: Why do you keep getting involved with Aquarius men in the first place? Aquarius men can be cold and distant, yes. But you must take responsibility for this compulsion to repeat the same relationship dynamic over and over again. 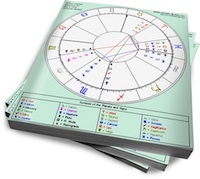 Maybe, Aquarius-hater, you’ve got something in your chart which draws you to Aquarius men who shut you out. Your Sun symbolizes the important men in your life — including your father. If it was making a stressful angle to Uranus when you were born (from our perspective on Earth), then you could be replaying a scenario with men in which you were trying to get love from an emotionally detached father. So you keep falling for Aquarius men, unconsciously hoping that this time it will be different — this time you will traverse the distance he creates, and get the affection you’ve longed for your entire life. So hate Aquarius men all you want, but realize that until you conquer your inner battle with Uranus, the planet that aims for the heavens (only to neglect Earthlings), nothing will change. wow Luke..that’s a lot of AIR to be around, hahaha. ok its hard to keep up with all these posts but I totally agree with what aqua butterfly posted on aquarians. And jules…. I have people phoning me all the time…girls and guys. But if me and a partner are real busy doing something together or having “a moment” I wouldnt answer. I love helping people through life…I love listening to them, helping them, laughing with them, leaning on them, and learning from them. The friends I keep are the best kind of loyal great appreciative friends I can find…..cuz I am an awesome friend to have…aquarius is an awesome friend to have. We can be friends with girls and guys….it’s almost like we live asexually during the day (we flirt with ourselves or do good deeds) and at night we’re with the one that makes us feel excited mentally and emotionally. So if my phone is ringing, it’s because someone else, additionally to you, wants some of my time. And what kind of friend would I be if I wasn’t there for them like they are for me? Ya know? No buts! Guys i wanna contact this scorpio friend on fb.. who ran off with the aqua who double cross me! its been 6 months , not sure want to say ,, keep it short or what , she will be with the aqua and most likely listen to her, but i so wanna win her friendship back to piss the aqua off, but also because i miss her if i big up to the truth, can you guys throw some advice at me dealing with a rejected scorpio!! she might still be bitter although her last behaviour towards me was one of a keenness to say hi but i blanked her! I wouldn’t bother but that’s me… because I wouldn’t want to relive the level of hurt that was done..that’s like sticking the dagger deeper into your heart and mind. Halloween..what is your book about? Hmm…the chameleon thing….Chameleons change their color to “fit in” to their environment, right? So, let’s say I have a click of white corporate girls, then I have a click of laid back guy friends, then I have a click of corporate family style coworkers, then I have a church group, then I have my workout buddies, and then I have my crew that meet up with me for certain concerts. In all these settings I will be mainly myself, but I’ll adjust my topics, my body language, my LANGUAGE, and my energy levels to all these scenarios. Sounds pretty cut and dry huh? I think a lot of people do this, but Aquas do it more so. haha i mentioned corporate twice huh? ok, add on a click of BAD girls 🙂 I usually end up being the tease in those situations…or the mother lol. At my most devilish I am sneaky and manipulative….but I’m not that GOOD at it 🙂 I guess it’s because I’m not REALLY evil…and I can only recall on one hand the bad things I might have done through my life, thus far. Jules I hear you are you a scorpio! it’s not in my nature to hate , I can go 4 years leaving and watching you suffer! but there comes a time when I heal then say thats enough! im not going to go to my grave .. having not forgiven that sin..I want peace when I rest .. you guys you don’t wanna be lying on your death bed thinking i wish I said its all ok you hurt me but i forgive you .. its irrelevant weather they accept its more for your soul, it makes you grow … u will see. love does defeat evil .. although it takes time. KILL THEM WITH YOUR LOVE… They have to live with that. not you . Roxy..I have scorpio in several places in my chart which seems to draw men to me sexually. See, i don’t like to look people in the eye cause it gets me in ‘trouble’ and i learned that as a child..the power my eyes have on people. It takes me a awhile to be able to do it and only if pushed/made to/or feel comfortable with that person. No way..not getting involved with another aqua friend anytime soon!! Oh Roxy68….years ago i was hurt deeply by a Gemini. We reconnected online once BRIEFLY but after years had passed. By then I was in a better place in my life and he had only become a distant memory. yep sent her a message anyway saying how are you felt like talking to u and it felt right hope your ok…. When a Scorp is with her true love , she will block out the world and stand besides her true love till the bitter end.The world can all turn agaisnt the person and point finger at her , Scorp will shake her head and protects the person. No amount of persuasion could change her mind, it’s the nature of FIXED sign. To manipulate the Scorp will not be the way to bring his/her back because she has known all the manipulations more than any other signs can even imagine, especially emotional manipulations. Only love, caring and trust- the Light will win her over. She has enough darkness in her to drown anyone who comes into contact with her , that’s why light and airy signs like Libra, Aqua and Gemini can win her easy due to the bubbly, optimistic , fun and easy-going characteristics of these signs. Thats how I love my man…..He is a fixed sign and omg he is stubborn, in all the right ways. We would die for eachother. I love the way you described the world giving her the finger, I’ve gotten worse, a good kick in the teeth once in a while sure keeps you awake, LOL, but next to my guy, I just don’t care anymore about that. I feel safe and protected, and I’d rip to shreds anyone who’d hurt him. Yeah, they have a good hold on you when they want to, it would be very hard to shake him off, not that I’d want to. Well, you are a Libra! Aquas and Libras are a 10/10 in the relationship books. I’m tryting to get a Cap sun/ Libra moon to make some time for me and not work. But they have patience as we Aquas do not. It’s actually forgetfulness, not patience. I’m a cappie and have on and off, been in a relationship with an aqua guy for 2.5 years. Sadly, I’m disappointed to say, my connection with this aqua guy has been identical to the other women whom have experience with an aqua guy. I’ve pretty much read all the four pages of this forum and have not yet come across anyone complaining that their aqua guy is too warm and emotionally expressive, affectionate, committed, emotionally secure and easy going as partners. In fact, I’m only hearing the opposite and have only experienced the opposite myself too! To date, my aqua guy has bought me THREE different engagement rings and proposed to me on four different occasions (once was with a ring he made out of twigs) and then has turned around, removed them from my finger and returned them to the store!! If that doesn’t break the heart and emotional confidence of a woman whose in a relationship, I don’t know many other things that would. He has claimed I’m his soul-mate and the love of his life but here we are broken up for the umpteenth time!! I’ve now come to a point where I call it (break up!) every time I detect his emotional coldness, aloofness, detached and selfish tone and talk. I’m emotionally terrified of ever committing to this guy and being burned over and over again in the future. Ironically (or stupidly), I still love him though I’m also emotionally paralyzed by all the rifts. He blames me for the incidents with him breaking up with me and which is the same as what he has done with all past girl friends. It’s sad he never sees his part of the equation or takes responsibility for his own actions (an aqua trait?). I was married to a scorpio guy for 14 years and although we had disagreements, we managed to resolve them without much emotional drama or huge conflict!! We have two beautiful boys together. This is so not the case with an aqua guy. It seems EVERY issue is an EMOTIONALLY CHARGED and fatal incident for them! lol This is the 3rd aqua guy I’ve dated with all three having the same insecure and emotionally charged traits. In reading the posts by others, I also noticed aqua partners saying how to “please” an aqua guy to bring him back to earth (which feels is all I’ve done in my aqua relationships sheesh! ), but how does an aqua’s partner get THEIR needs met as they seem to be the least important issue when in a relationship with them?? The only way an aqua man can really learn is by you leaving him room to learn. He sounds unevolved to me, but yes.. that deep DEEP emotional bond you’re looking for you may never find with him. We are aloof, come off as cold, and seem preoccupied… but, when we say something.. regardless of how it comes out, we mean it. The thing about aqua men (especially) is that they never do anything without a reason. You must have done something, he took it the way he did (it must have meant something to him), and you can’t understand what the problem seems to be. Trust me. i know that type. To us non-aquas it would never be such a big deal (anything- an argument, a fight, if you borrowed money from him, idk something in this family) between us and other people…but when an aqua gets an impression, he won’t quit on your but bury you to the ground with this behavior while still having you linger around…and THAT’s what’s killing you/me/everyone out there. Ask him directly what the problem is. I am pretty sure he is upset because of something (they’re highly ‘unconfrontational’ as people and would never say anything unless the situation clearly warrants it), and he doesn’t want to tell you because you don’t seem to 1. realize it, or 2. be able to fix it. If it isn’t this, and it’s plain quarian commitment phobia, then there is nothing to worry about. This is who they are, and pressuring him (even if you don’t intend it, that’s how they take it) into ANYTHING will just make him run for the hills. Just let him be, slowly and easy. Don’t read too much into his actions- if a scorp took back an engagement ring to the store THAT would have meant f*ck you B*tch, you and the rest of your family etc. If an aqua does it, it’s quite normal. He’s getting cold feet. I know the commitment problem from a blog post an Aqua actor wrote (won’t give names, he’s not internationally renowned), since tabloids always published photos of him and a lot of girls, speculating who he was dating. Turns out he wrote this amazingly detailed blog post about his fear of commitment, his perpetual resistance to adulthood and other stories in the family. It’s a drop of truth, dear. Just don’t feel yourself diminished in the relationship or have your self esteem go down, it has NOTHING to do with you, unless….the first thing i mentioned. Good luck! I just want to ask you (and other Libra girls out there) something, but DON’T take this the wrong way. Basically i keep reading about the amazing connection Libras and Aquarians have, and it’s the same story everywhere- deep sentimental/emotional connection, simultaneous thinking, similar tastes, similar characters, etc. I know all that stuff already, namely i have read many blog posts on this topic. Your posts seem to be quite on the spot with aquarians, they are quirky and weird people 🙂 that’s what makes them so special and interesting (the most interesting sign, i’d say, in both men and women). However, i want to ask you a couple of things, and if you’d like to give me some insight, that would be great. First off- if you’re a sept/oct Libra and if he’s Jan/Feb aqua. Third, how do YOU think you manage to find that way of communicating with an aqua so well? what helps/doesn’t? Fourth, and this is the part where i don’t want to be misunderstood. I know, from both ‘theory’ and practice (several Libra women i know), that Libras tend to be superficial, or let’s say, more attracted to exteriors while aquas look in depth and are immune to the bling- metaphorically speaking. I read a Libra’s comment, i don’t know if it was yours, where she mentioned that she and her boyfriend (aquarius) can spend literally hours talking about everything, and getting to know each other in a very different manner, and that that’s the thing keeping them together, the opening up part and the communication. No offence, all Libras i know are not good speakers, always have too little to say, i mean in a nutshell, they just seem very quiet and introvert people when it comes to intellectual conversations/connections, as opposed to aquariuses, who’re active in this respect, love stimuli, conversations, debates, are curious and have a thirst for knowledge. So what exactly happens between a libra and an aqua in this department, and HOW it takes place. Amen to that! Aquarian men tend to be icy cold. They don’t want to talk about their felling or any other emotions. Try to accept that sister and move on. You couldn’t change what they are and what they will be. He has a Cap moon and I have an Aries moon, so I guess for us its more then our sun signs, I wonder if most of the time its the Rising sign that makes or breaks a relationship. I was married to an aquarian man who was physically and mentally ill, and his aquarian tendencies made it worse. I have also noticed the same traits when working professionally with aquarian men. They lurch from extreme arrogance to insecurity. They know the gestures of humility but do not know humility, and therefore they never learn. They re-narrate life so they can feel free and spiritual in the abstract prisons they create for themselves, gaslighting those closest to them by denying reality. They are desperate to feel good. They reach critical points when everything falls apart and they take down those closest to them. But they recover quickly and repeat; their natural rhythm IS disruption of nature. It is a tragic placement for men, because it denies physical reality and encourages abstractness and the violence that comes with this. It really is the least feminine, most alienated sign, of all the zodiac. On earth you’ll never be loved by everybody. Remember this “we are different” its up to you to love us aQ or not. If you are patient enough to wait for us, you are welcom. we love with our all heart but we quit without saying goodbye. We quit before you quit. Being in love its cool when we fix things together. We care about friendship than relationship. Take your time to know the light and dark side of our lifes. If you can’t handle us let us fly in the cold place where we refresh our minds. We are willing to make you happy if you allowed us to stay. We don’t stay easly. Most of what you mentioned about Aqua men I’ve heard from others too, I’ve never experienced this with the many Aquarius men I’ve known and worked for or with. I’m a Libra so Aquarius men have always treated me very different then they treated others. Its a personality thing. They seem to like to hang out with Libras when they need a diplomat to fill in for them or someone to put heads together to work on a project, they bring the drive and knowledge with them into a project and a Libra brings the patience and balance of power with them, you just have to remember something with these guys, and this applies to most men anyways, they are boys. If you point out the flaw in any of their plans as long as you show them that it isn’t such a big deal and that you can help smooth the wrinkles in the cloth “We’ll go with your idea, its great but I have to present it softer to the board.” They can’t help coming down like a sledgehammer with their ideas unless a friend is on their side and translates their angry words into something lighter. If you show an Aqua man that you are going to say everything he wanted to beat someone over the head with into nicer words they usually like it, but it better work or he will never trust you again so I always make sure I can deliver before I volunteer. All in all I’ve never had an Aqua man angry at me for very long, they are pretty open minded and will listen to your point of view if you tell them gently, take away a reason to argue and they are very understanding, you have to remember these guys think outside of the box so they need someone from time to time to show that they understand too. Libras face the same problem in relationships, so we just understand each other. Just give him a chance to explain, the anger they express is from not feeling heard or understood. be a friend first, they will be a friend back. I forgot to mention that all of the Aquarius employers that I’ve had were fair about credit and blame. I’ve been pulled into meetings by them just to ease a tension and I was the receptionist so a few times i wasn’t sure what to contribute, but they showed me enough trust and faith that I grew inside, my husband is Aquarius and the few occasions that we have misunderstood each other were fixed by a lot of communication, they are excellent communicators. Once you show them ow much they mean to you it is amazing how much they show back. But you have to be fair 24/7, they get very angry if someone isn’t being a fair. Being a Libra I can relate. Your man was mentally ill, that has nothing to do with birth sign, my ex Libra husband is mentally ill too, and dangerous, he tried to hurt our child. I understand how you might have felt, when you discover that the person you are with is not right in the head it gets scary. I hope you left him for good, I have a very different relationship with my new husband. My son is a lot happier too. I am an Aquarius man myself, and iI can’t help but be cruel. I think people are beneath me, and have no capacity for love. Women rather annoy me. I can’t relate to them, and I am far more content being alone. This is a bad placement to have. My Venus is in Pisces, so I am supposed to be deeply loving and accepting and kind; however, I feel no love. My moon is in Taurus, so I supposed to be most content in a relationship, but I guess I am afflicted, since I am not turned on physically by women, I have considered men. I can relate. I was with an Aquarius man who has a mental illness. I have other Aquarian males as friends and lovers. Not one of them behaved in this manner. I don’t think an Aquarius man makes for a good relationship. They blame others for whatever is going wrong at the moment, and they fail to see their part in the conflict. I would have to disagree that they will show you love in return. All you will get with this man ladies is taken advantage of. They truly have NO emotions nor regard for other people’s feelings. They can be hateful for the dumbest and most trivial of situations. They are arrogant, even when they are not as smart as they believe. Aquarius men make better friends than romantic partners. You will waste years with one. You can do, do, and do for them. You can be generous and accepting. They will take advantage of any emotional display and use it in their games of manipulation to get what they want…at that moment in time. These men are destined to be alone for most of their lives.